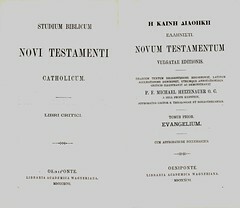 Title Studium Biblicum / Novi Testamenti / Catholicum. / Libri Critici, / Oeniponte. / Libraria Academica Wagneriana. / MDCCCXCVI. 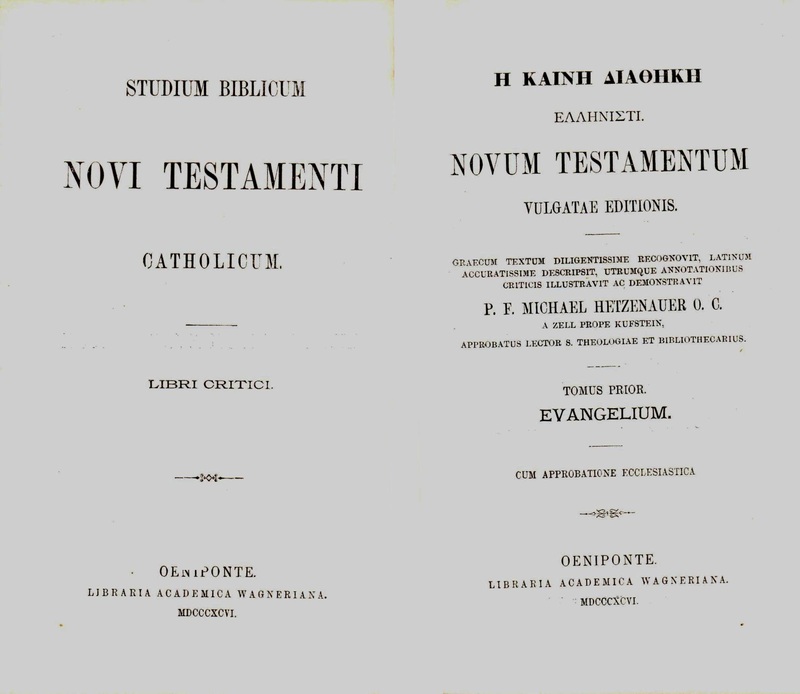 Contents Parallel versions of the Latin Vulgate and the Greek Text, edited by Catholic priest, Michael Hetzenauer. References Darlow & Moule 6312 (text).